If there is one thing that is consistent in the real estate business, it’s change. Back in 2011, I wrote a blog post titled, Singing The Short Sale Foreclosure Blues. It was a post where the president / chairman of Realty Executives, Rich Rector, sang a song he wrote about the real estate market at the time. The song was performed “live” at our quarterly event and it was pretty darn good! 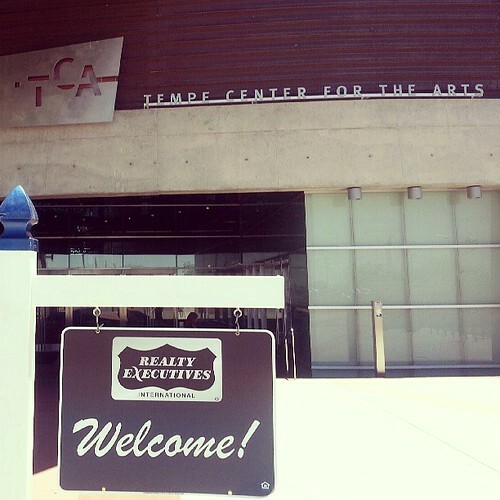 Yesterday, we had another one of our quarterly events at the Tempe Center For The Arts, and Rich performed a song called the Sales Dance. It was played to the Van Morrison song, Moon Dance. See for yourself in the video below. Nice job, Rich. Keep on rockin’ the market, my friend! Can I just have one more sales dance with you, my friend? Can I just have one more sales dance with you?